So Tom and B'Elanna are like, super-surprise pregnant in the Season Seven episode, Lineage. It's a big surprise and everyone's happy until they discover that the baby has a Klingon-inherited spinal birth defect. It's not a huge deal. The Doctor can correct it but in discussing it, B'Elanna sees that the baby will also inherit her forehead ridges. This is not ok with her. She doesn't want her baby to have the same problems socializing in a human culture that she has endured or suffer from any potential prejudices. She spends the episode trying everything she can think of to make sure that her daughter isn't nearly as Klingon as she is. But why? Surely if this kid's anything like Tom or B'Elanna, she'll be one tough cookie. Finally, B'Elanna makes a confession to Tom: her fear is rooted in the idea that her father abandoned her and her mother because he couldn't handle B'Elanna's Klingon side. So, here's my confession: it's taken me several days to write about this episode. Since I first saw it (only about seven or eight years ago) this one affected me deeply. As of today, the 17th of November, this is the third time I've attempted this post. When I was seven, my parents divorced. It wasn't as if they'd had a rosy marriage but it still came as something of a shock when it was announced one morning that I'd be living several hundred miles away from my dad and going to a new school and everything I'd grown up with would be quite different. At that time every TV show had a very special episode about divorce and lots and lots of movies featured parents who'd split up. A lot of those TV kids were consumed by feelings of misplaced guilt--thinking that their parents had split up because they (in spite of their obvious adorableness and catch phrases) had done something wrong. These stories were meant to show kids like me that our parents' problems hadn't stemmed from us. But I never felt any of that stuff as a kid. I assumed my parents were weirdos and, like everyone else's parents in the 80's, just didn't get along. My seven year old self said, "It's not a big deal. 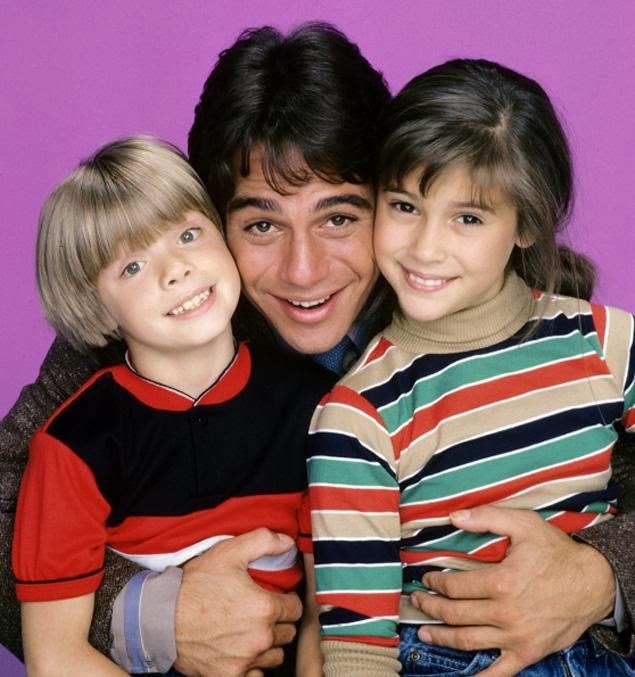 My mom will probably end up hiring a male nanny and every day of my life will be an episode of Who's The Boss?" It wasn't until I was older that I started thinking about my unintentional role in my parents' split. I was an accidental baby--born when my parents were in college and their incredibly bright futures were being laid out before them by their hippy dippy liberal arts school. When I came along they rushed into marriage, got the first jobs they could find, and started a life they'd never anticipated or planned. Later, as I became more of a person, I couldn't deny the subtle (and sometimes not so subtle) ways that each of my parents resented their missed opportunities, their canceled, glittering futures, their twenties-sans-child. What had they meant to do that they couldn't? What were they doing instead? Who were they living with? Was their child a blessing or a curse? Both? Neither? Did they split up because of me? I don't think so. But would they ever have been together for any kind of long-term relationship if I hadn't come along? I doubt it. And have they had these same thoughts? Of course they have. And I don't blame them for it. I, without any say in the matter, forever altered the course of my parents' lives. I think we've all made the best of it. They loved me, and still love me, and I love them. I have a good relationship with both of them. I understand them, I think, more than I ever have. I am extraordinarily like my parents. I discover ways in which I'm like them more and more often as I get further into adulthood. Their choices as parents have affected and shaped me in innumerable ways. So, like B'Elanna, I have had an unalterable effect on my parents' life. Likewise (and my inability to get through Lineage without very strong feelings is proof of this) even now that I'm an adult, they continue to have a profound impact on mine. I've been coming back and reading your blog almost everyday. It really is engaging and I think at least part of the reason is the way you open up about yourself. Decades later you watch B'elanna struggle with the rejection she didn't deserve and it's hard to write about, even using space aliens to soften the blow. These things shape us. But stories like these can help us heal. I think. So keep writing, who knows what burdens you can lift for yourself and all the B'elannas out there. Oh, thank you Sandi! This means so much to me. This episode really did have quite an impact on me this time around and I'd love to think that either Star Trek or reading about my personal experience could encourage some other B'Elanna. Thank you for coming back every day! I'm so glad that you're here.